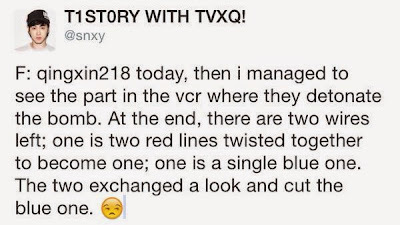 In the bomb detonation VCR, there's two wires - one blue and one red that has two wires tangled together. 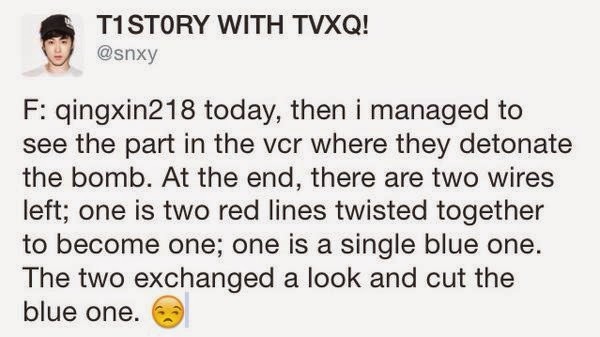 Both of them cut the blue wire. 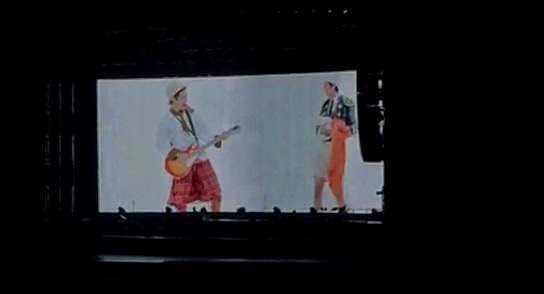 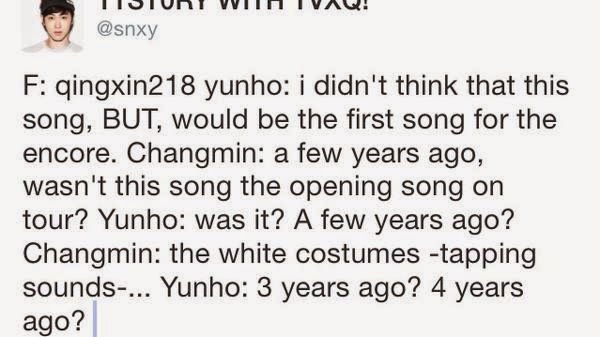 YH: I didn't expect B.U.T to be the first encore song. 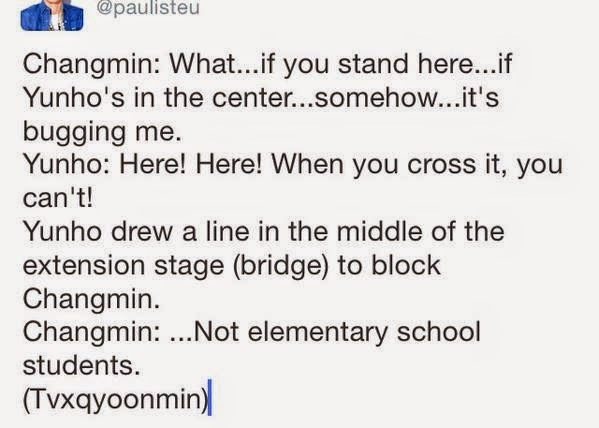 CM: Didn't we use this as our opening a few years ago? 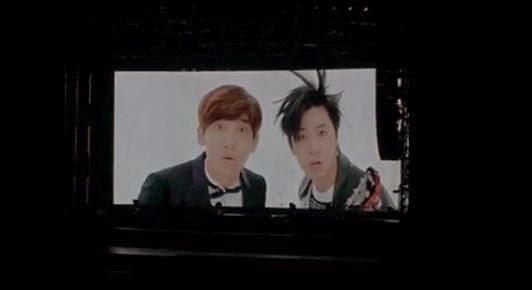 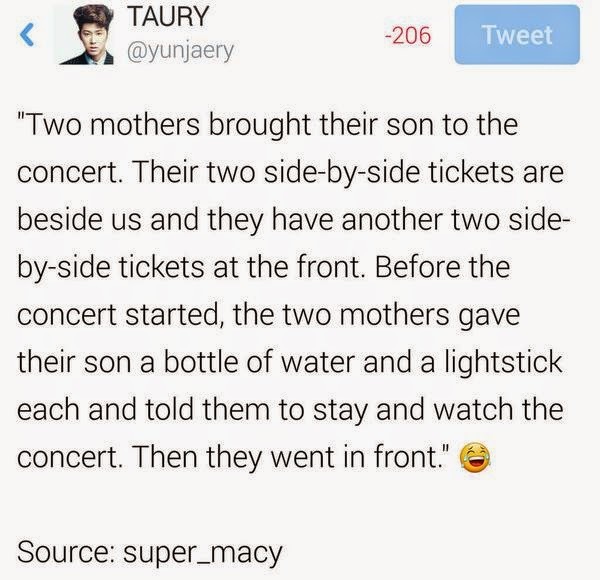 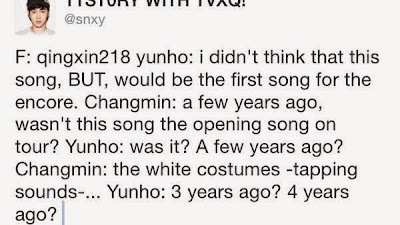 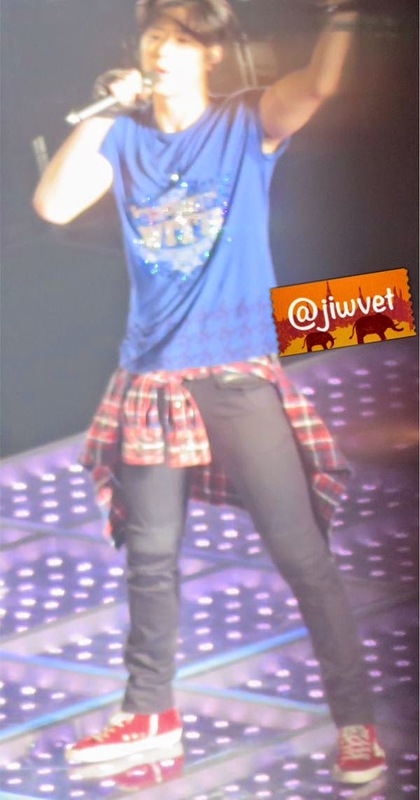 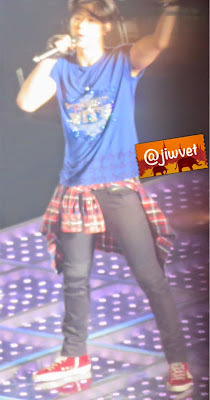 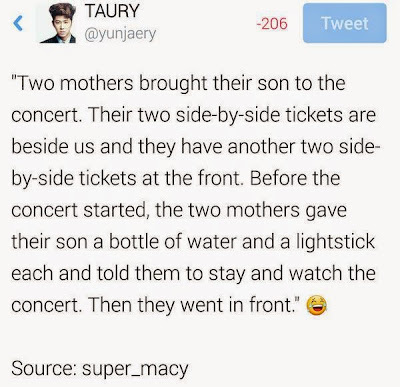 YH: Really? 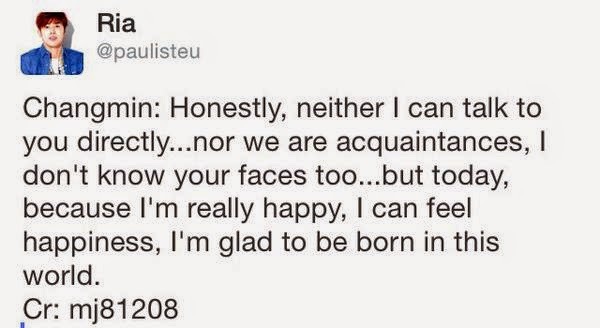 Few year ago? 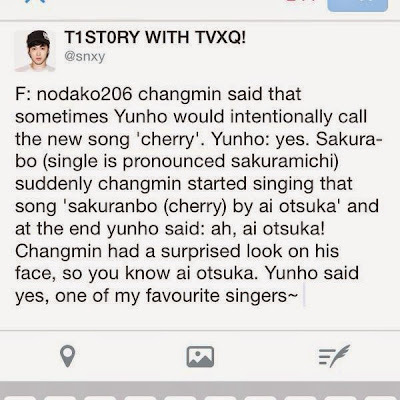 f: panee0202 the audience was surprised that the boys knew who ai otsuka was. 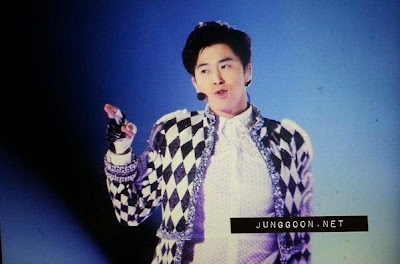 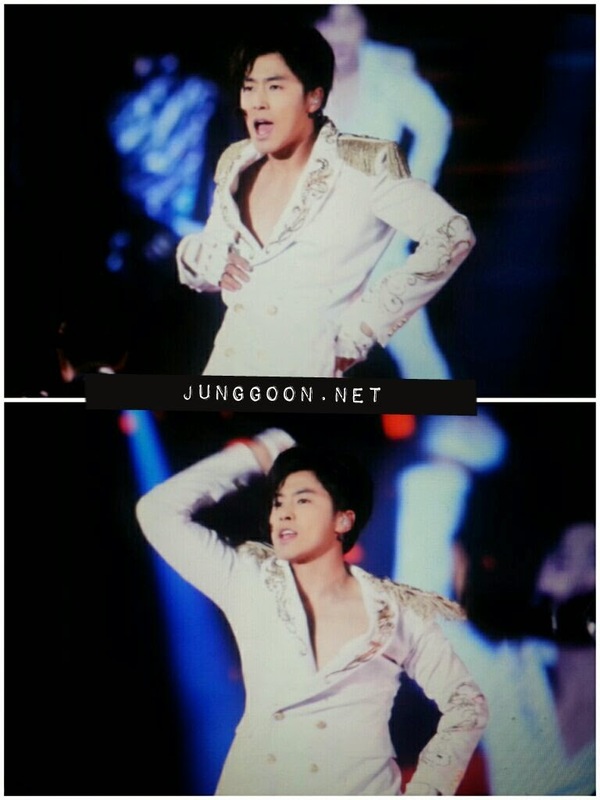 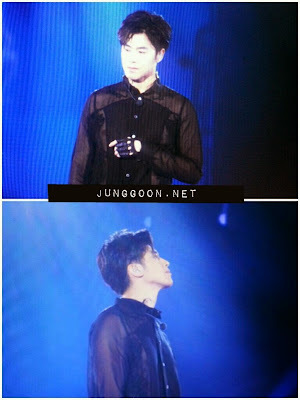 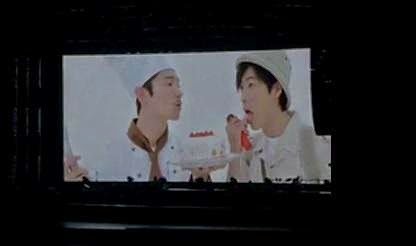 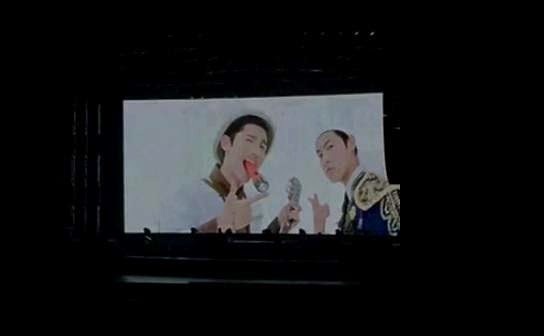 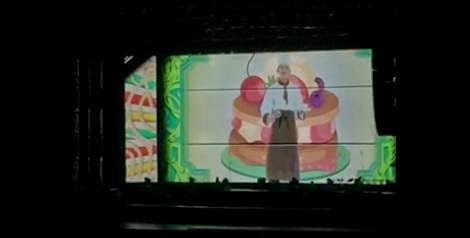 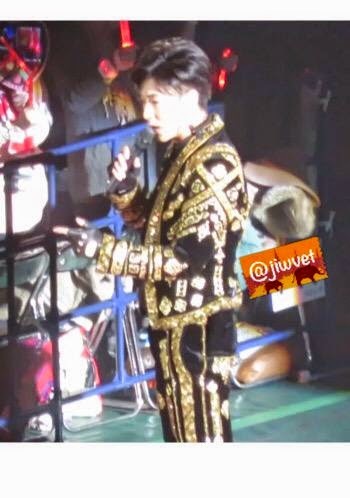 yunho: i am an amazing artiste ya~ (what's so funny about knowing this song?) 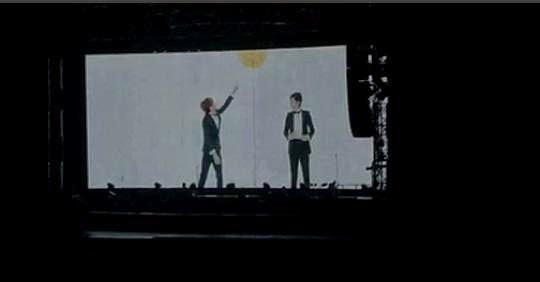 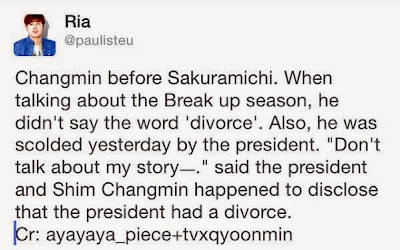 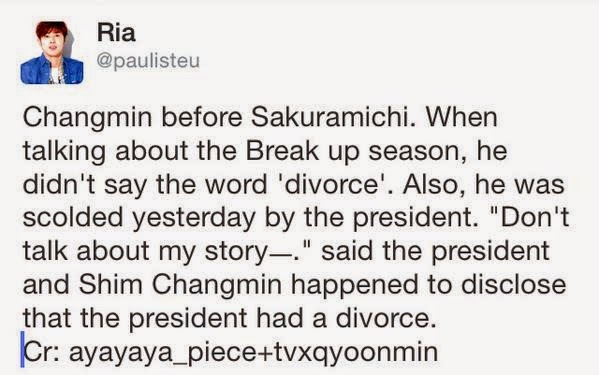 changmin: no need to say it, it is embarrassing, even though deep in both of our hearts we know this, we don’t have to say it out.’ ww scolding shim. 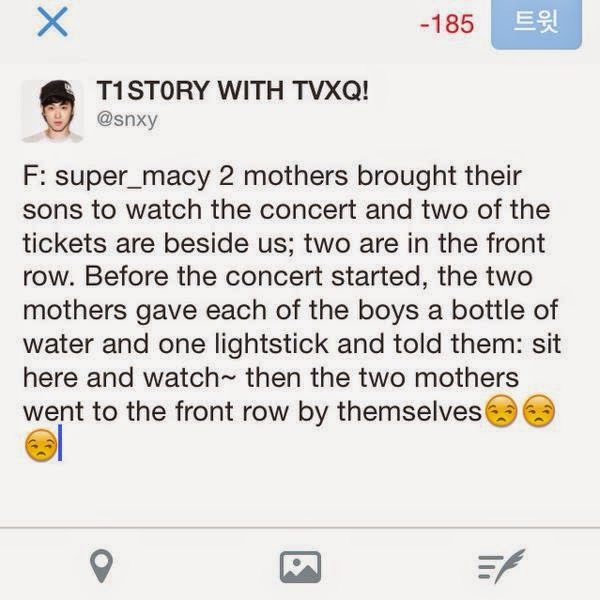 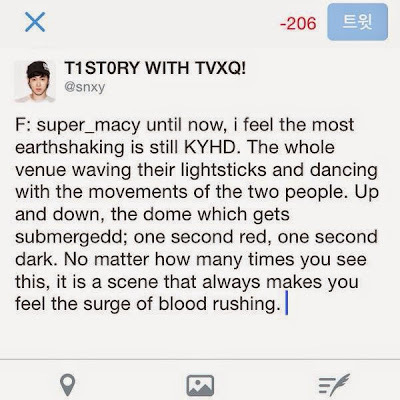 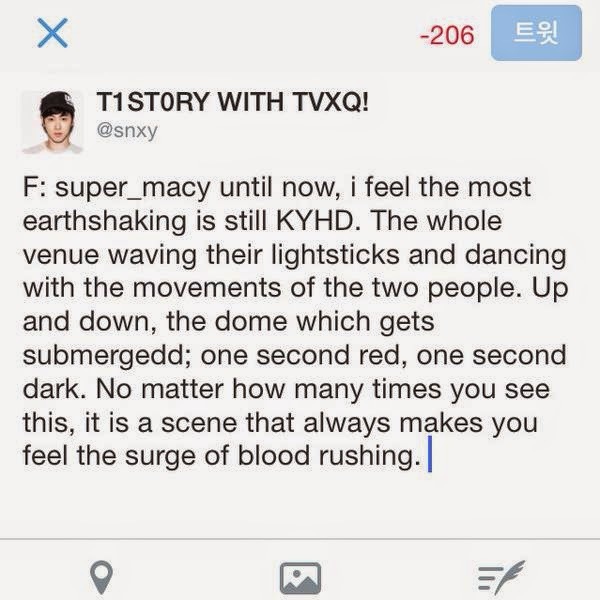 f: super_macy yunho: are there still people who have not heard the WITH album? 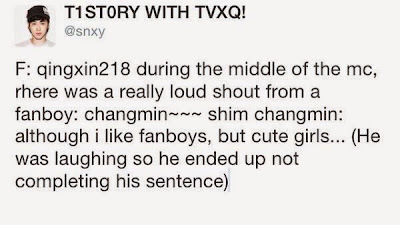 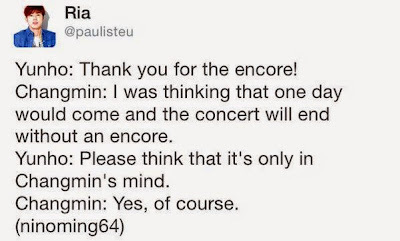 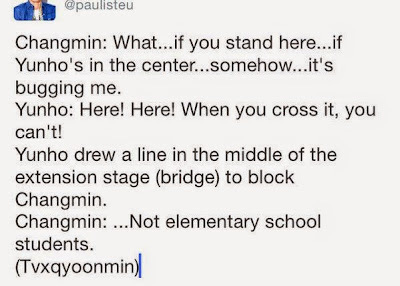 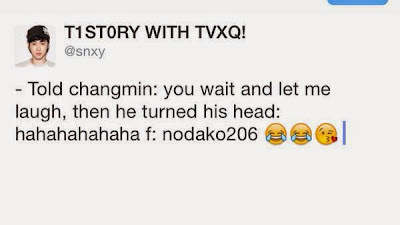 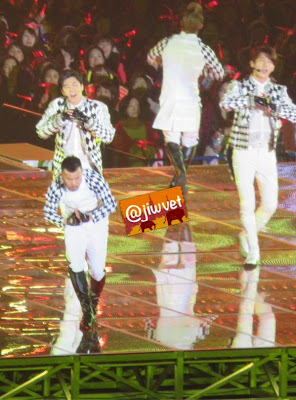 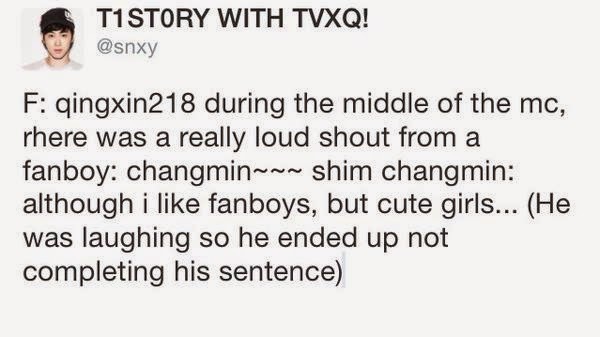 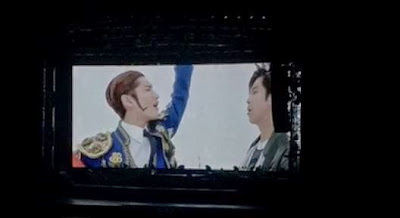 -some people raised their hands- Changmin: Pls go home. 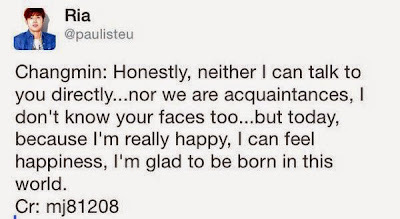 I really don’t understand why you are here. 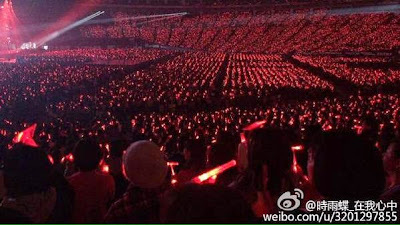 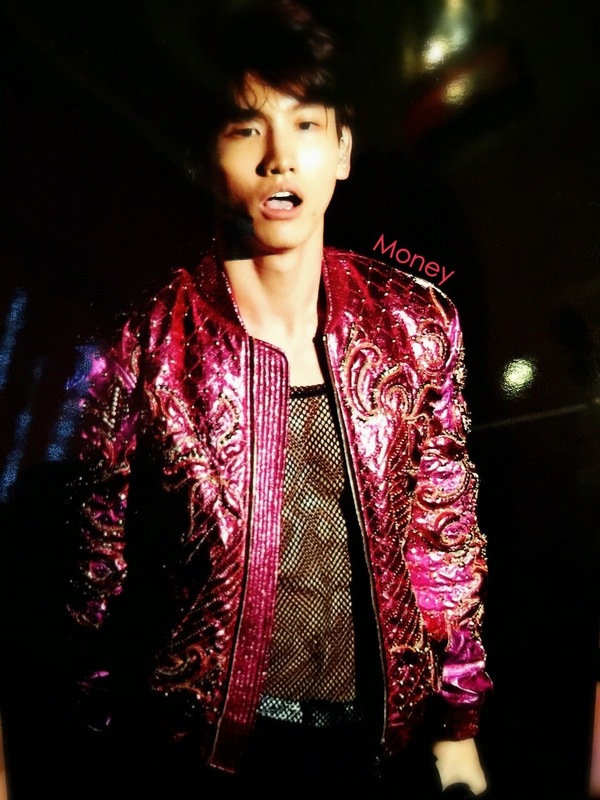 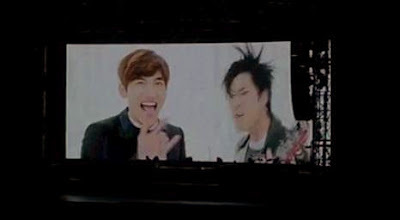 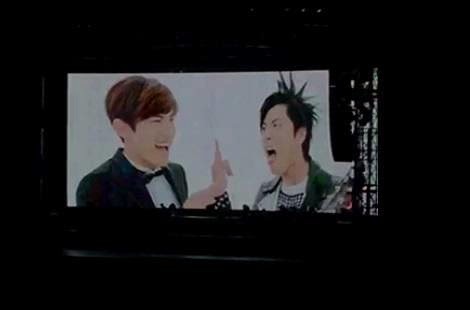 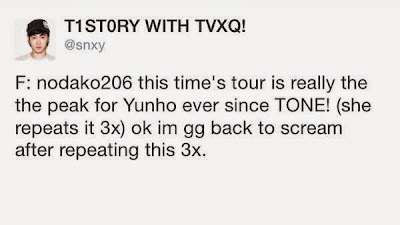 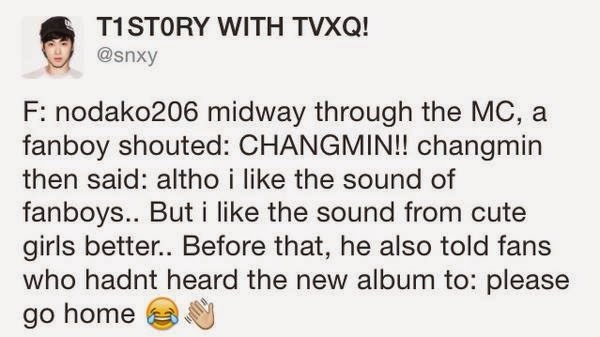 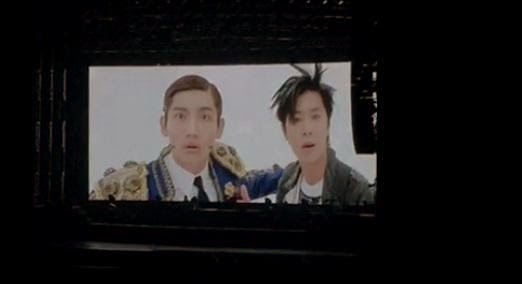 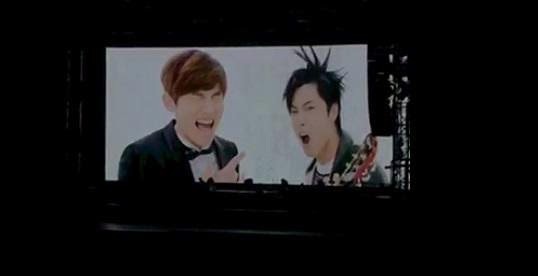 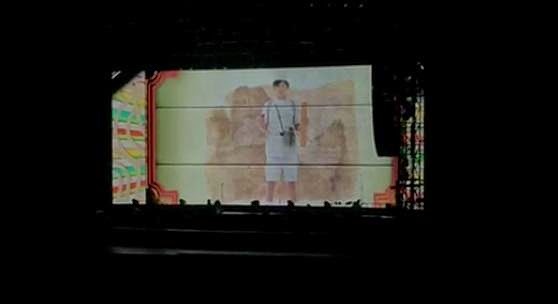 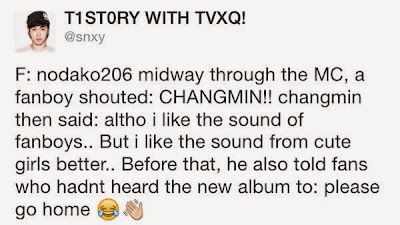 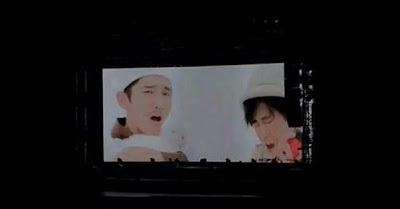 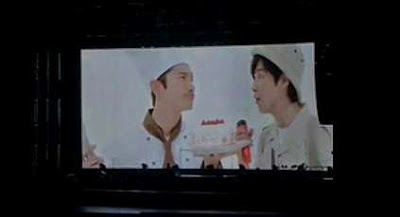 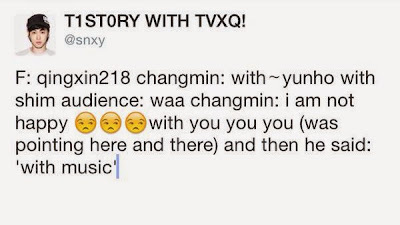 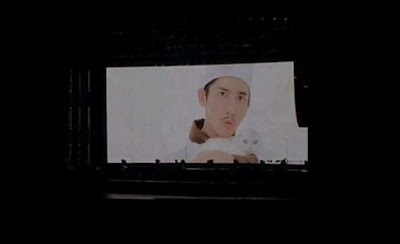 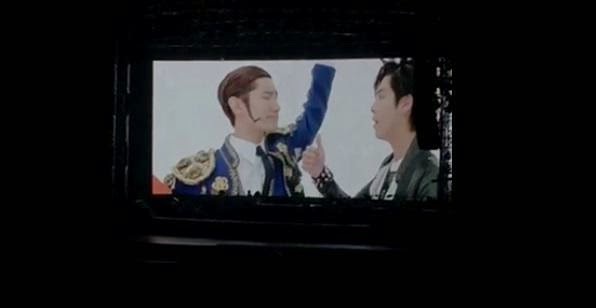 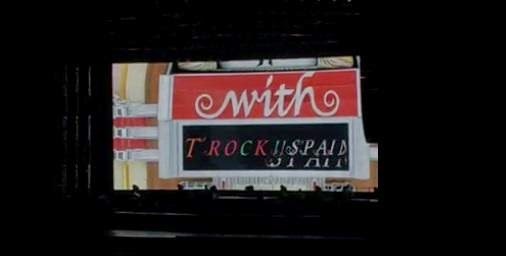 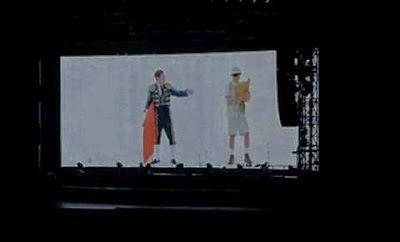 Changmin: Arigatō, Bigeast. 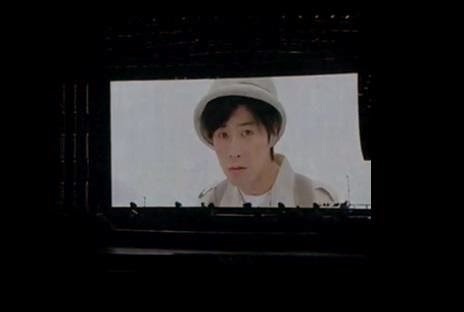 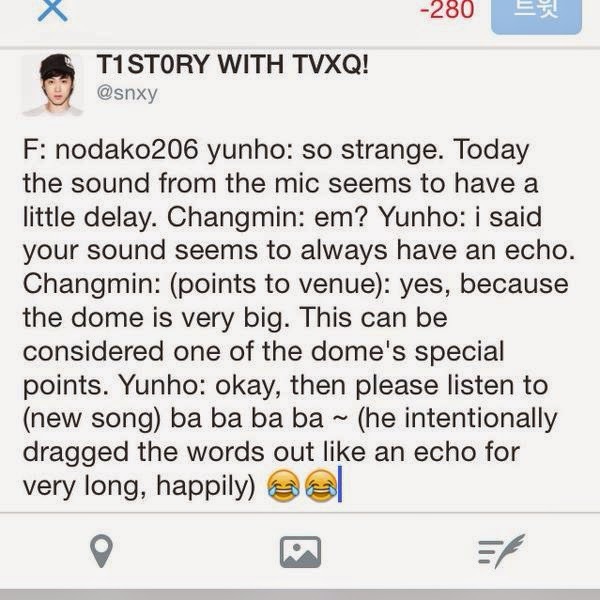 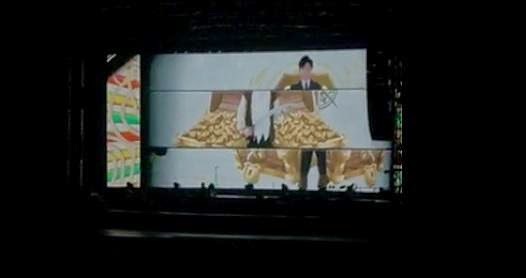 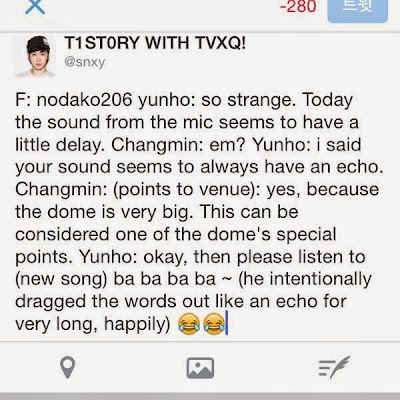 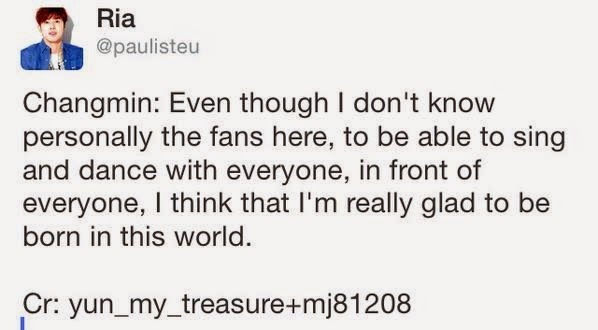 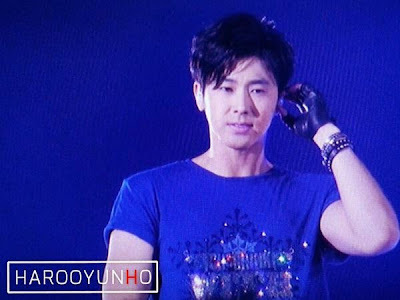 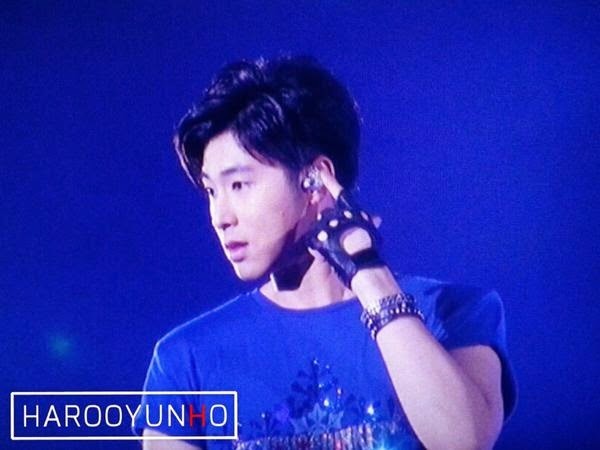 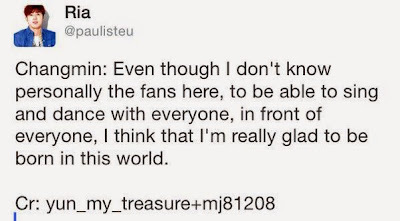 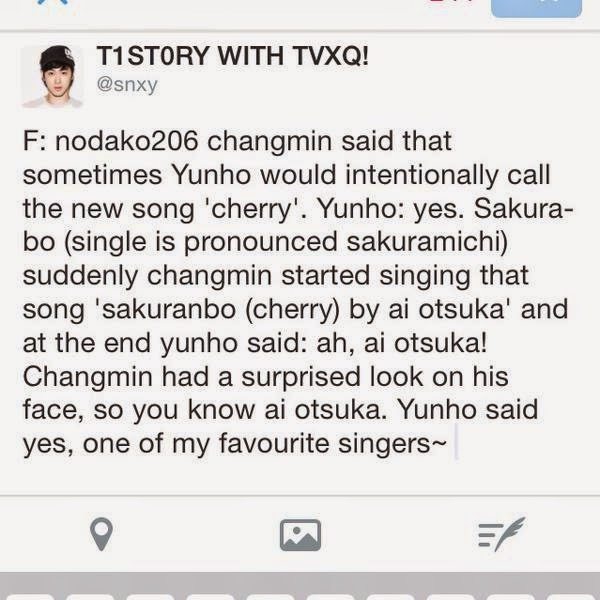 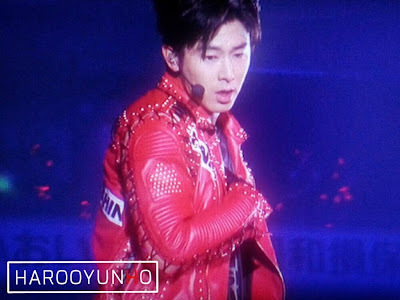 Yunho: Cassiopeia, kamsahamnida. 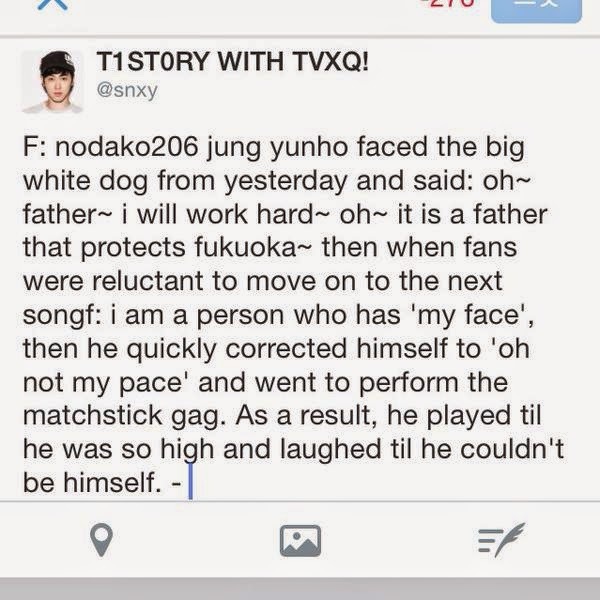 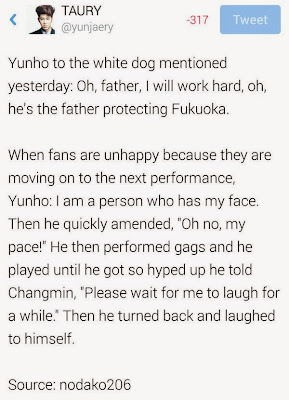 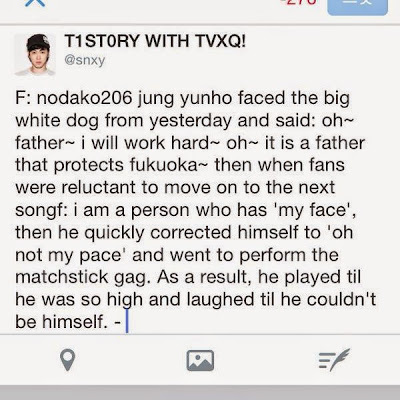 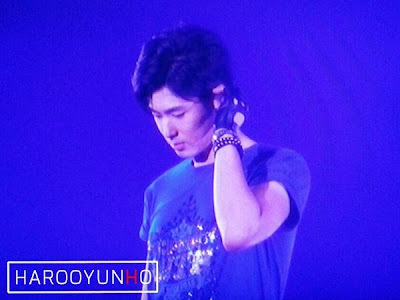 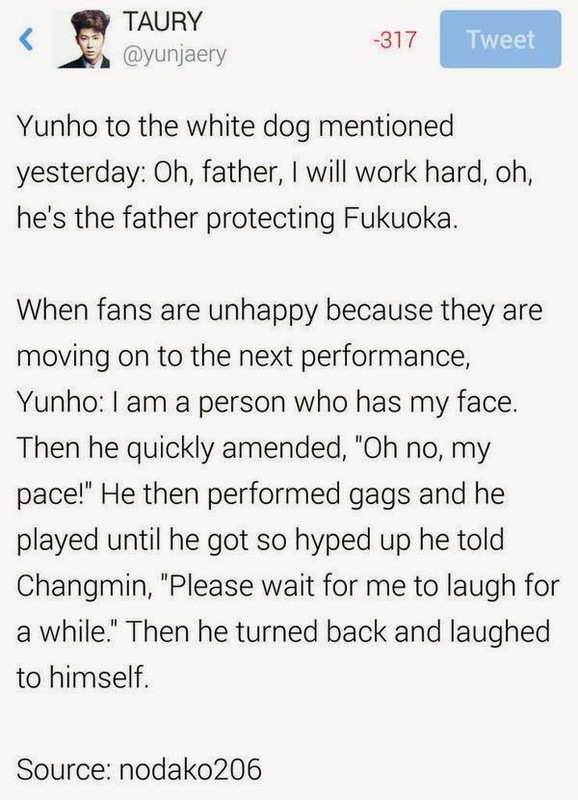 Yunho wa's embarrassed of his gag so he covered his eyes and laughed.